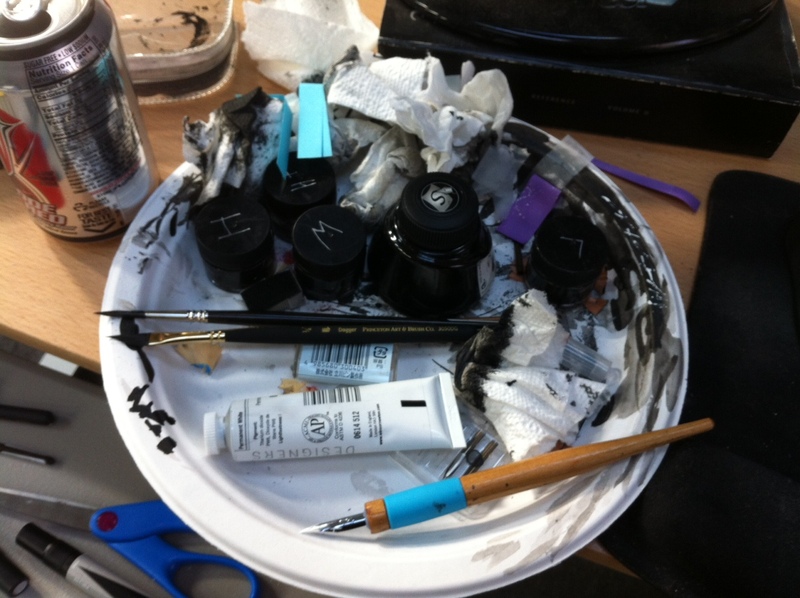 Inks and brushes in Freddie Williams III studio. If you’ve read a comic by DC Comics in the past few year, then you’ve probably seen artwork by Freddie Williams II. The prolific artist was under contract with DC and has illustrated many titles including Robin, Flash, Aquaman, and Blue Beetle to name a few. 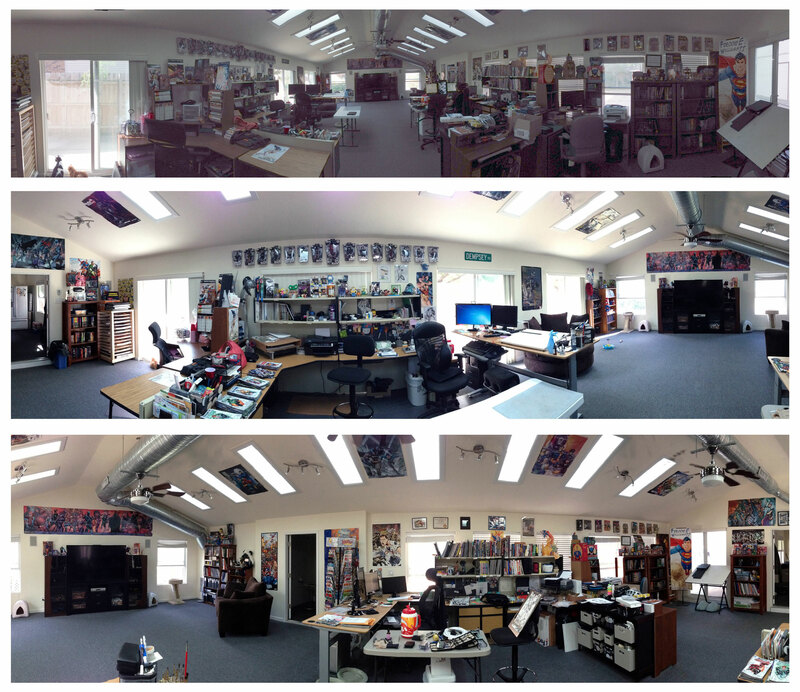 He’s also worked on TMNT at IDW, Star-Lord at Marvel, and Conan at Dark Horse. You may want to check out his website at: http://www.freddieart.com/. Freddie WIlliams III desk area. As an aspiring creator, you may already be familiar with his educational book “The DC Comics Guide to Digitally Drawing Comics” on Amazon or BN.com. It’s an impressive book that would make a great gift for creators who want to use digital tools to create exciting comics. Freddie took a few minutes out of his busy day to answer a few questions and share some photos of his incredibly cool studio. FREDDIE WILLIAMS II: Lot’s of sequential artwork, few or no pinups. FREDDIE WILLIAMS II: The IDW Series of Teenage Mutant Ninja Turtles! FREDDIE WILLIAMS II: Just wrapped up an issue of Starlord for Marvel, and now I’m illustrating a cover for DC Comics’ Infinite Crisis. FREDDIE WILLIAMS II: Adobe Photoshop, EON HD Bristol Board, and then Copic MultiLiners, and Sable Brushes! Star Lord page by Freddie Williams II. FREDDIE WILLIAMS II: In the studio off the back of our house, I spend most of my time there. FREDDIE WILLIAMS II: I watch a lot of Red Letter Media, James Rolfe stuff, and a few other things on Youtube. All kinds of documentaries, and recently it’s been the Serial Podcast. My music world is centered heavily on Metallica, Tool, and Rage Against the Machine. Composite photos of Freddie Williams III studio. 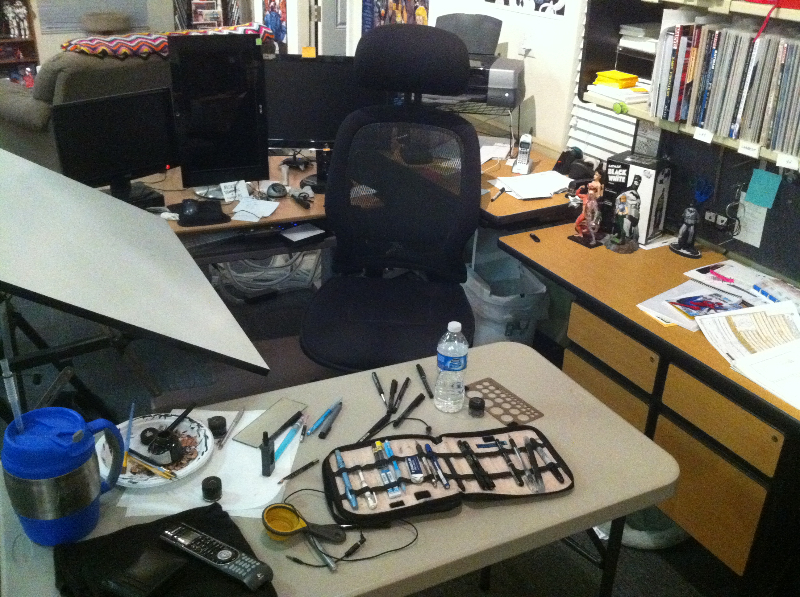 Also check out Chuck Dixon’s Workspace.